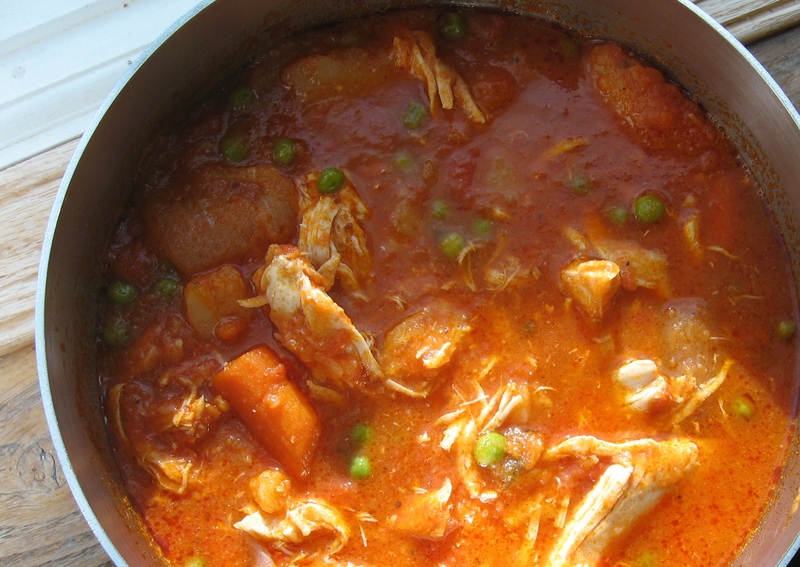 On January 19, 2015, at approximately 11:38 AM, I proceeded to eat my lunch — chicken stew. While scanning out the window near my desk, I noticed an unidentified male running back and forth in a zig zag pattern with two of his fingers stuffed up his nose. The unidentified man’s other hand was clasped over his mouth. I went outside to investigate. The unidentified man proceeded to walk away. He stated, “Hope you watch the news tonight— You’re gonna see me on a spaceship saving the world! Yeehaw!” I went back inside the station to finish my chicken stew. Heat oil in large pot. Add onion, carrots, garlic and potatoes. Stir in garlic powder and onion powder. Heat for 5 minutes. Add marinara sauce and water. Stir in raw chicken and bay leaf. Bring to a boil. Cover pot, reduce heat and simmer for 45 minutes. Remove lid and add heavy cream. Season with salt and pepper to taste. Add frozen peas. Continue cooking, uncovered, for 10 minutes or until sauce is reduced and thickened.